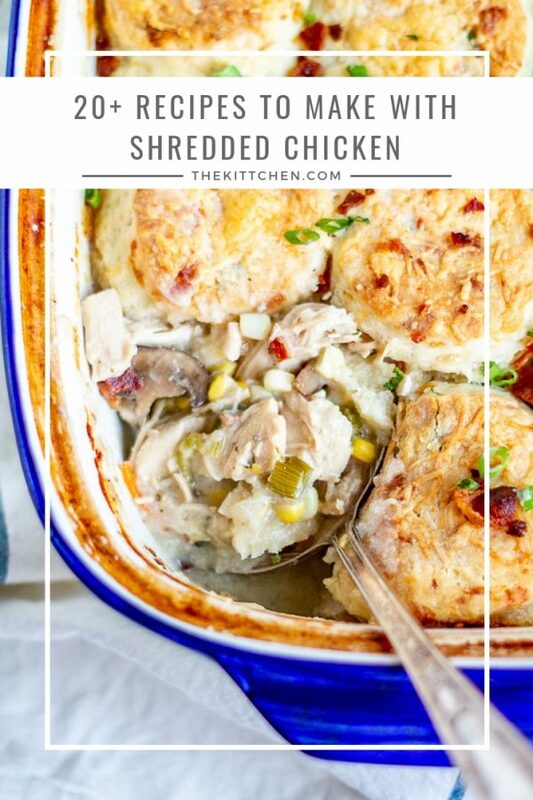 Wondering what to make with shredded chicken? This collection of 20+ recipes with shredded chicken will help you save time and get dinner on the table. 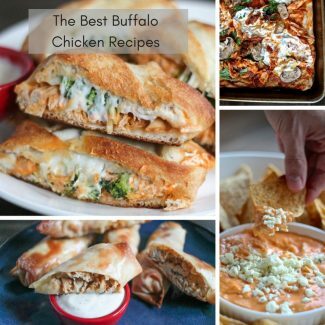 This list is divided into different sections so that you can find just what you are looking for: salads, pastas, casseroles, Tex-Mex, buffalo chicken recipes, and more! 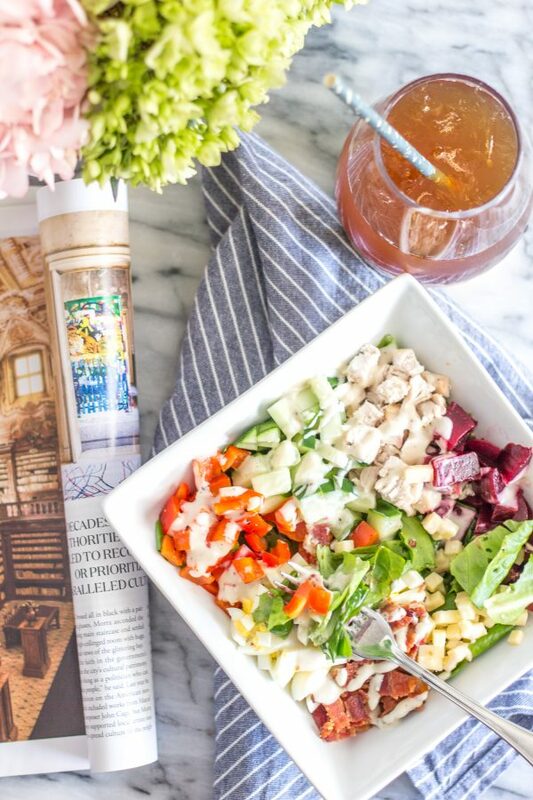 Inspired by one of my favorites lunches at The Allis in Chicago, this salad has beets, boiled egg, bell pepper, cheddar cheese, cucumber, bacon, and chicken on a bed of greens topped with ranch dressing. 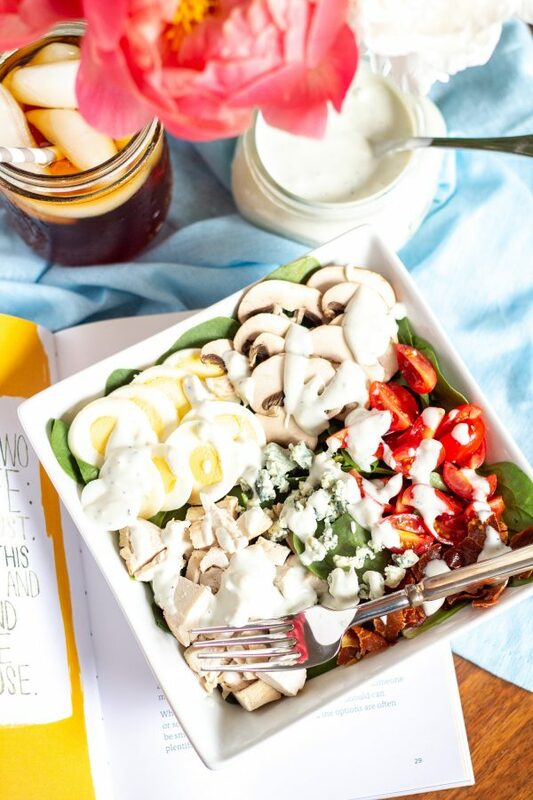 Baby spinach is topped with diced chicken, hard-boiled egg, thinly sliced baby bella mushrooms, grape tomatoes, blue cheese, crispy prosciutto, and a homemade chunky blue cheese dressing. 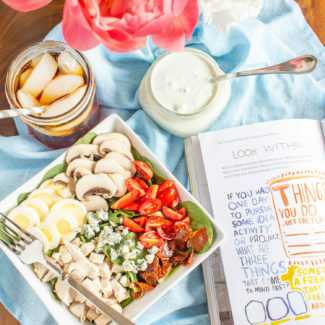 This salad is perfect for meal prepping and eating throughout the week. 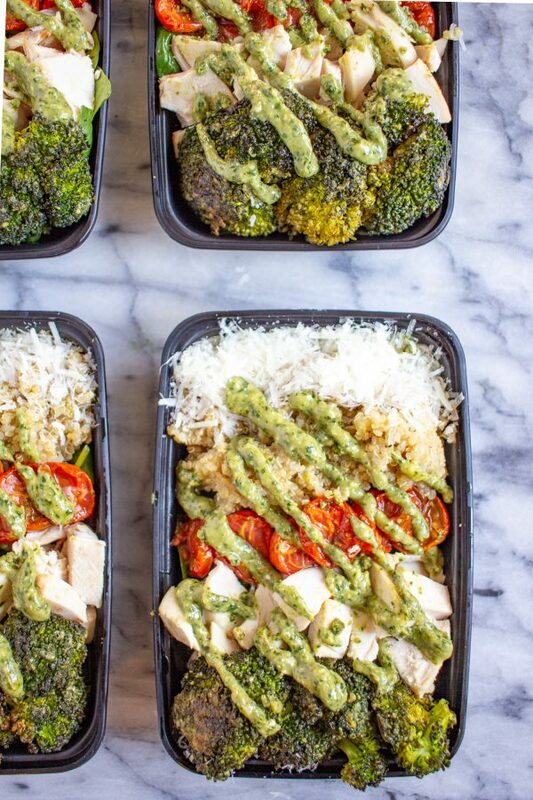 I added roasted tomatoes, roasted broccoli, chicken, and parmesan to baby spinach and use pesto as the dressing. 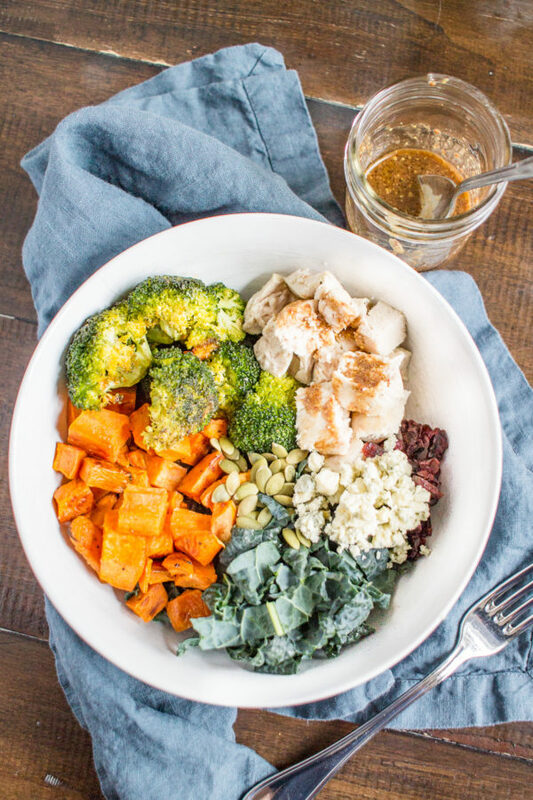 Chicken comes together with butternut squash, roasted broccoli, blue cheese, dried cranberries, pepitas, and a mustard dressing for a salad with bold flavors. 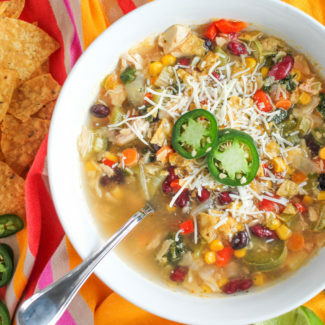 This soup is loaded with vegetables – I like to add bell peppers, beans, corn, tomatoes, and spinach. 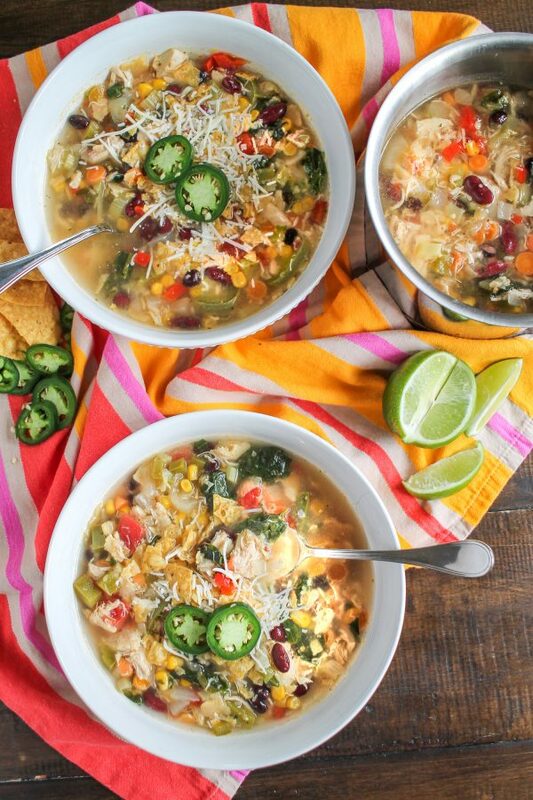 Plus this soup freezes well and you can make it as spicy as you like. 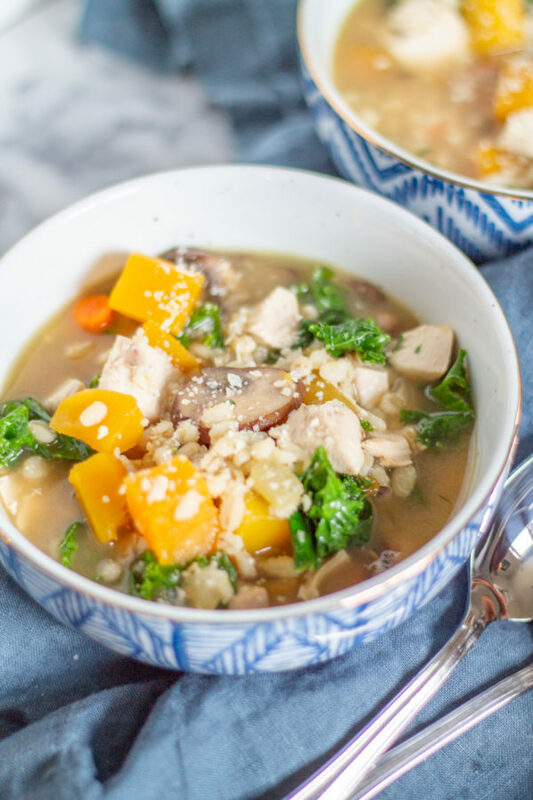 A healthy and hearty soup loaded with fall flavors and filled with vegetables. The kale adds a slightly crispy crunch of freshness. 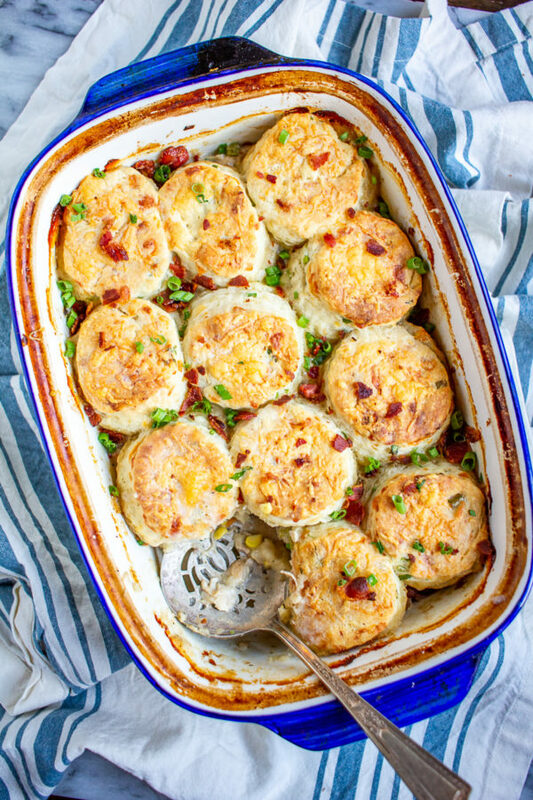 Decadent without being over the top, this casserole is like a chicken pot pie topped with homemade green onion and cheddar biscuits instead of a pastry crust. 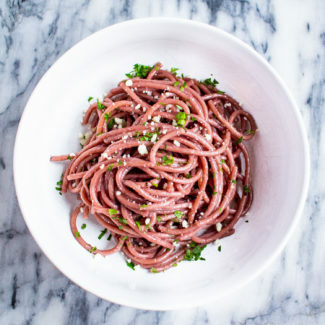 It’s definitely a way to make leftover chicken feel like a completely new meal. 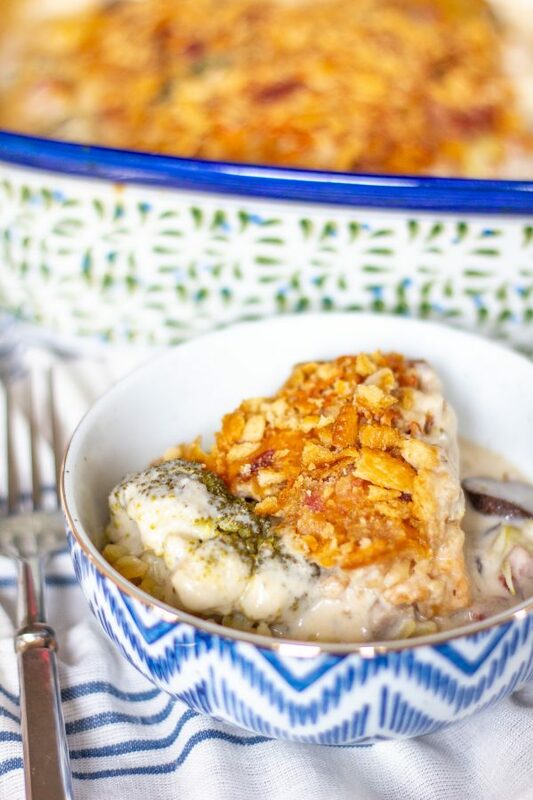 Since the chicken that goes into this creamy cheesy casserole gets cooked first, you can easily use shredded chicken instead of cooking chicken breasts! 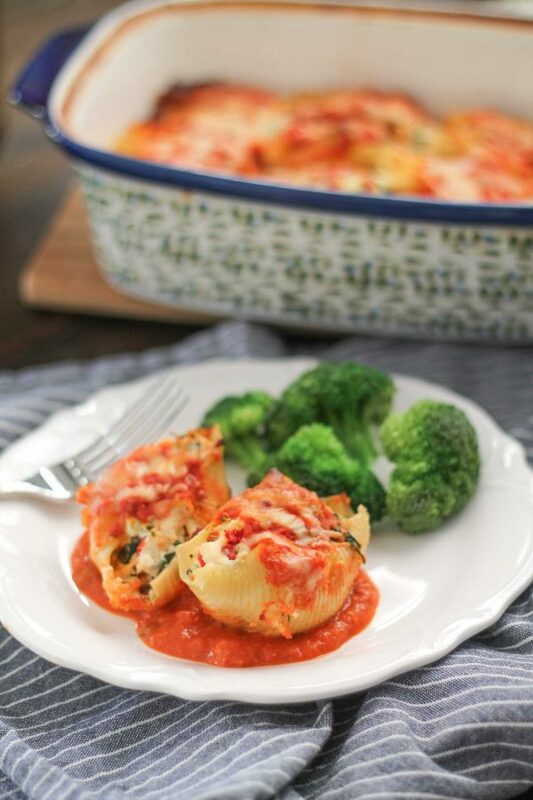 Mix shredded chicken with ricotta and spinach to make this stuffed shell casserole. 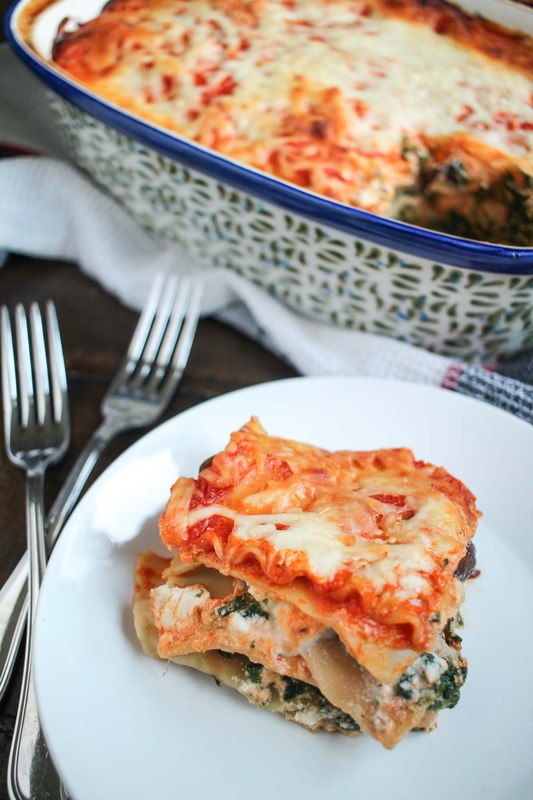 Adding a layer of shredded chicken covered in tomato sauce is an easy way to add more protein to lasagna. 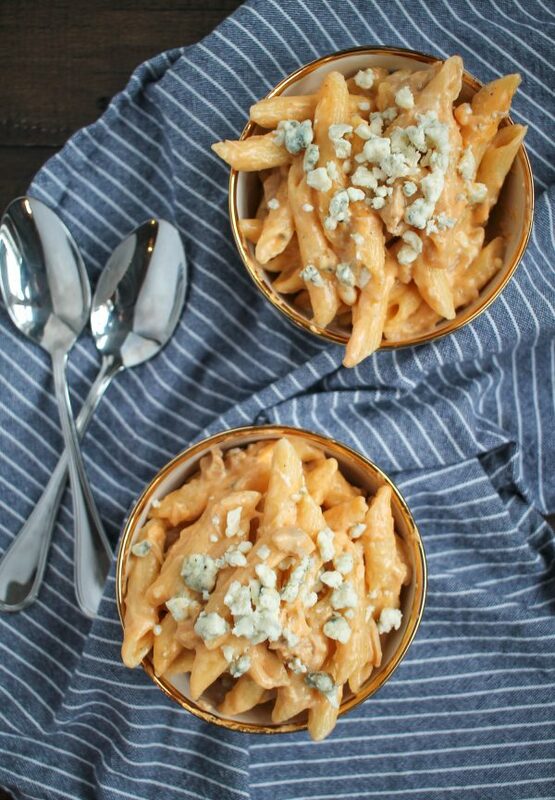 It is easy to add shredded chicken in buffalo sauce to macaroni and cheese. 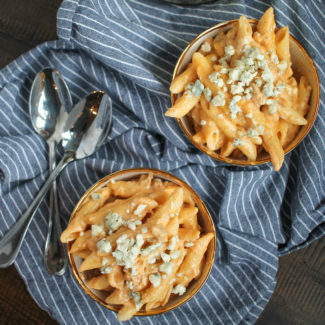 I use a simple recipe for stovetop macaroni and cheese, but you could aways use your favorite boxed macaroni and cheese. 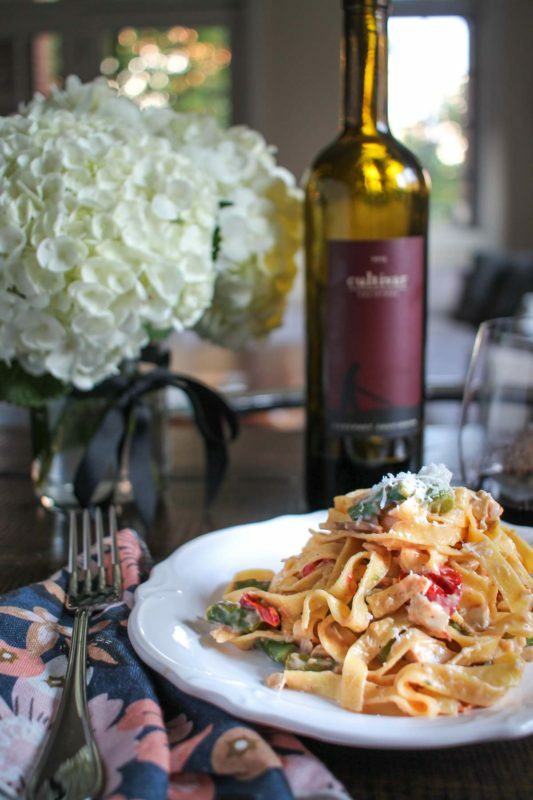 A pasta dish with chicken, roasted tomatoes, and a creamy goat cheese sauce. 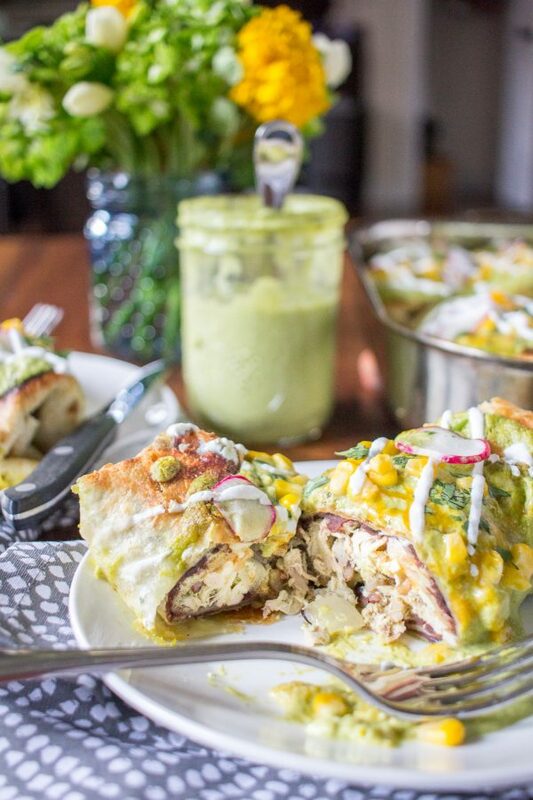 These baked chimichangas are one of my favorite recipes. Tortillas are filled with chicken, refried black beans, rice, sautéed onion and cheese, and then baked. The final step is to pour the creamy spicy poblano cream sauce over the top. 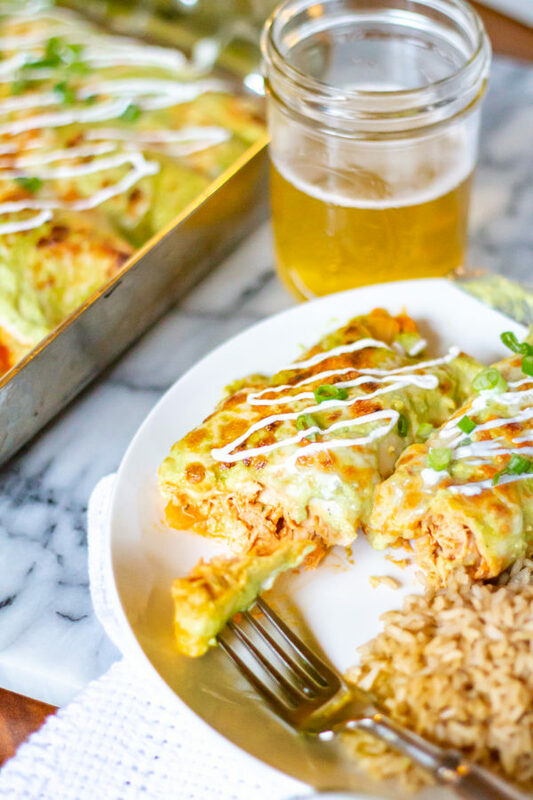 These enchiladas are basically filled with buffalo chicken dip and topped with poblano cream sauce and cheese. 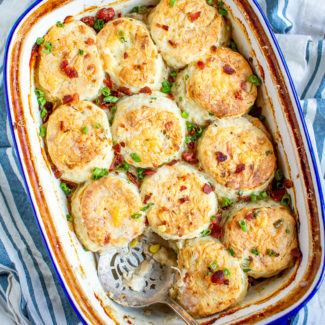 They have layers of spicy flavors all wrapped up in a comfort food casserole! 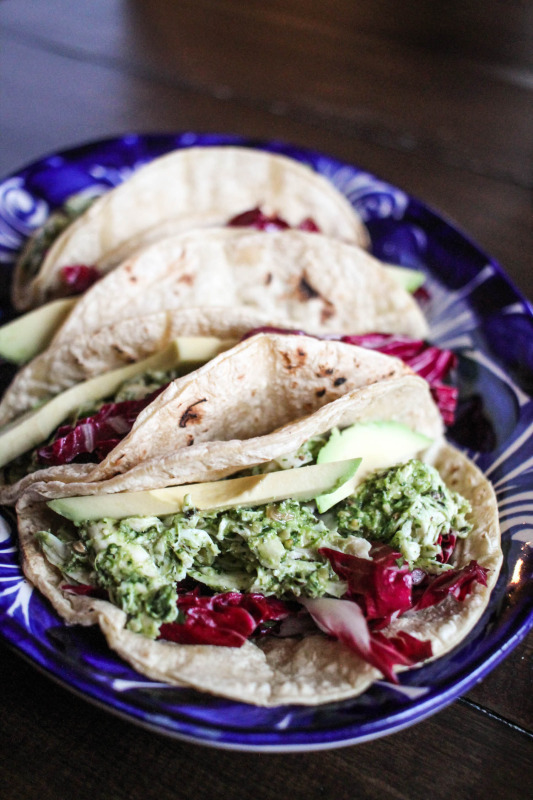 You can make these tacos is just 30 minutes by mixing up an easy cilantro pesto, adding chicken, and making a quick cabbage slaw. 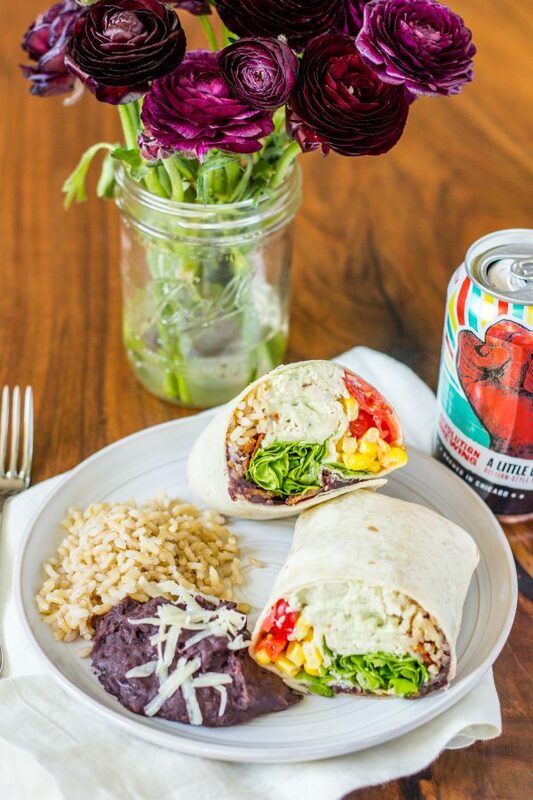 Shredded Chicken gets tossed in an avocado ranch crema and then rolled up into a burrito along with rice, beans, and vegetables. 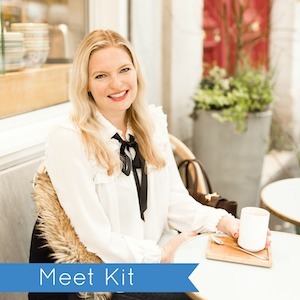 It’s a 20 minute recipe that works well as a packed lunch too! Have you ever mixed buffalo sauce and barbecue sauce together? 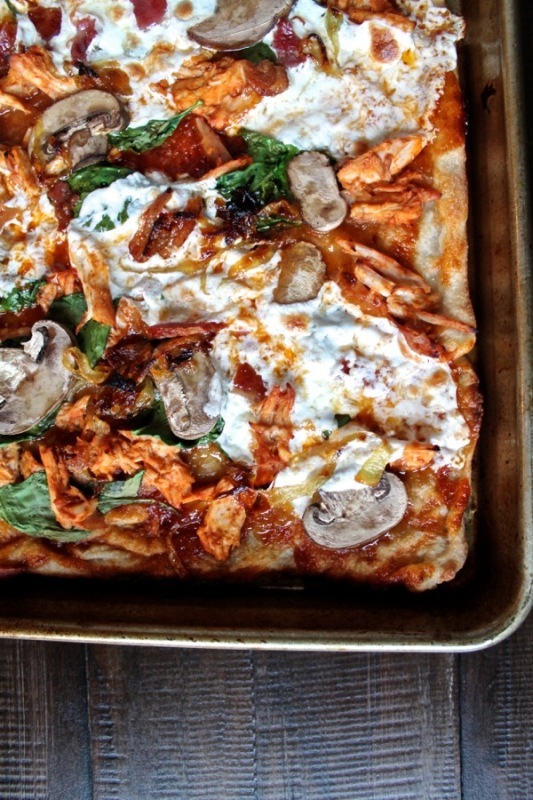 It’s delicious, and it was the inspiration for a pizza topped with caramelized onions, mushrooms, spinach, bacon, and mozzarella. 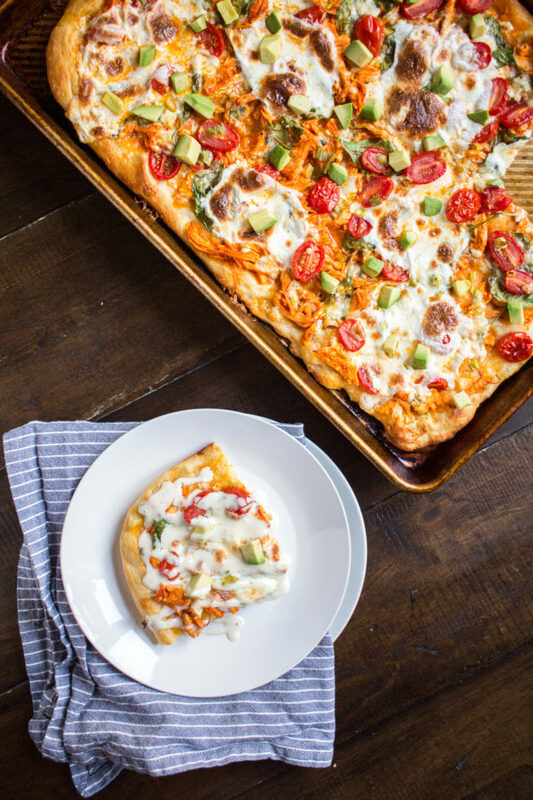 If you are purest and don’t want barbecue in your buffalo, try this pizza that combines shredded buffalo chicken, fresh tomatoes, spinach, blue cheese, and mozzarella to create a pizza that gets topped with diced avocado and ranch after it is cooked. 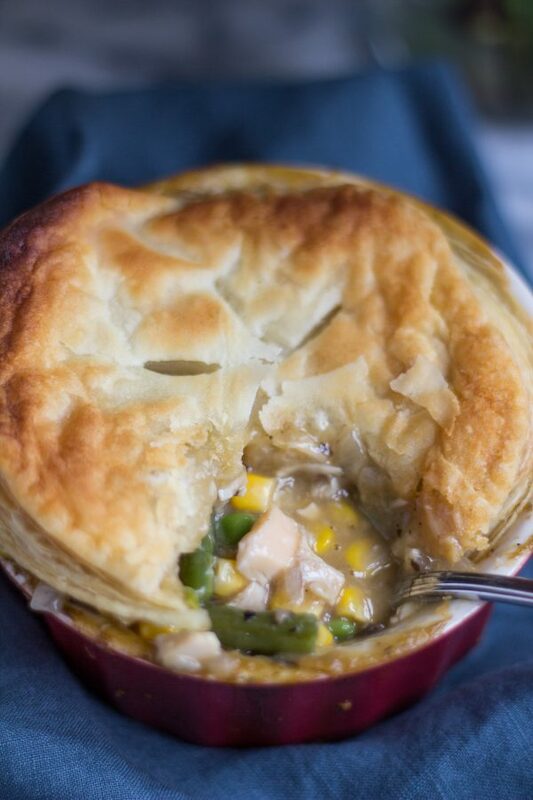 Classic chicken pot pie is one of the best comfort food meals out there, and it is easy to make! 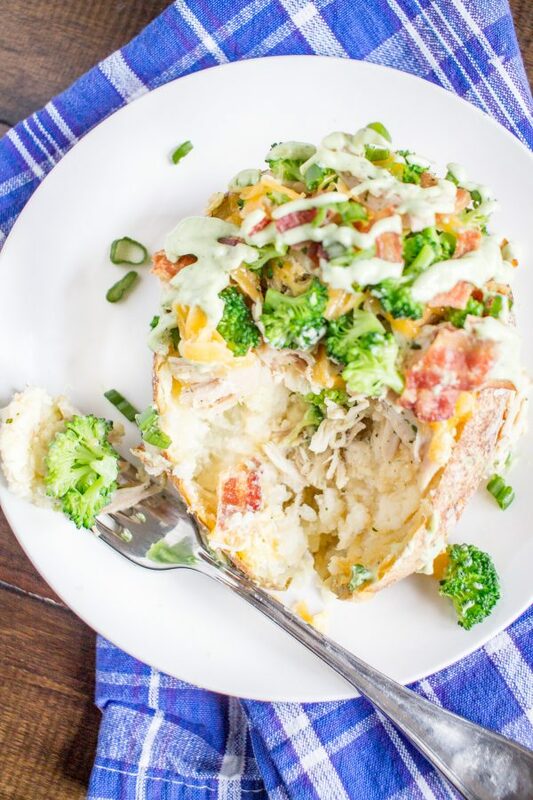 Turn a twice baked potato into a complete meal by adding shredded chicken, broccoli, chives, bacon, and an avocado ranch crema. 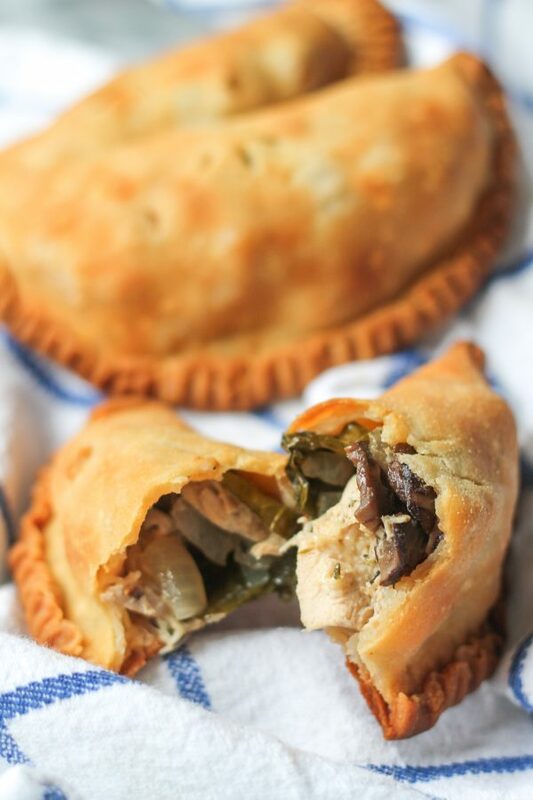 These hand pies filled with juicy chicken and cooked vegetables make a great lunch. 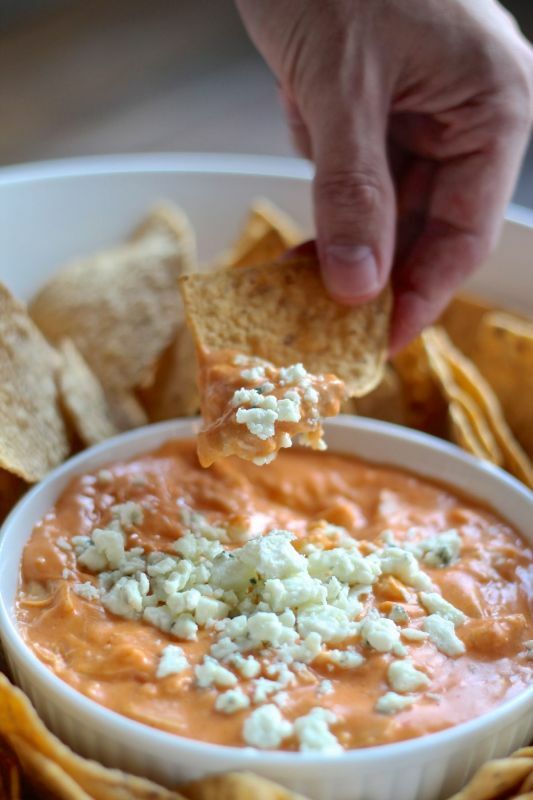 This isn’t your ordinary buffalo chicken dip, it’s made with a creamy cheesy sauce, similar to a thick queso, and filled with spicy shredded buffalo chicken. 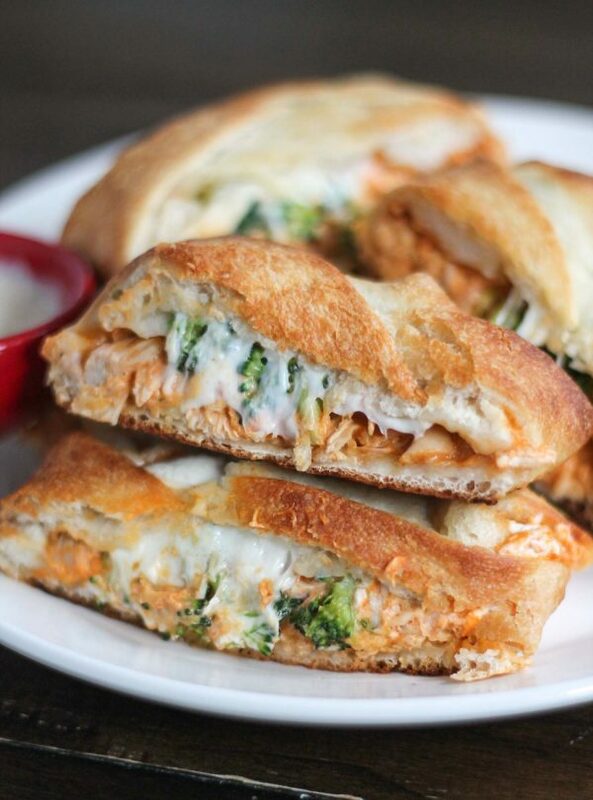 You can use store-bought pizza dough to make these calzones filled with buffalo chicken, broccoli, and mozzarella.